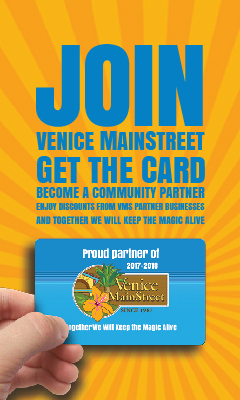 A distinct Venice Shopping Experience for over 50 years, offering a wide variety of gift items. We have an extensive selection of Jewelry, Pillows, Table Ware, Home Décor ideas, Funny Towels, Greeting Cards, Hand Bags, Sports Teams, and much more! We carry your favorite brands like Baggallini, Camille Beckman, Scout, Snoozies, Peepers, Kameleon, Dune, Lizzy James and Jilzarah Jewelry. Many products support Charities and Made in the USA. Unique gifts for that special occasion, your special someone, holidays or even yourself are found at the Island Gift Nook. Krystyna's Designs is a women's apparel and accessories boutique located in Venice, FL. We specialize in providing top of the line products with exceptional customer service. We can help you find a stunning "Mother/Grandmother of the Bride/Groom" gown or even comfortable yet stylish resort wear for your next tropical getaway! From formal to casual, we've got it all! Krystyna's has been in business since 1986. We look forward to earning your business! Laurie Jean & Company is a classic coastal boutique specializing in all things nautical. Offering a wide selection of women’s apparel, jewelry, and accessories; as well as nautical home décor, gifts, and the latest trends. Priding ourselves on affordability our 3 locations promote a boutique experience without the expensive price tag. Featuring a unique and wide variety of brands promises that you are bound to find something for yourself or a loved one. The classic coastal inspired boutique adds a fresh and chic spot for women’s shopping, and our employees are always prepared to offer suggestions and a helpful experience. Visit us for all your coastal inspired gifts, thank you for shopping small and local! Lisa's Classic Rose has a variety of colorful, comfy clothing at affordable prices. Whether you’re seeking a cover-up to wear at the beach, a casual outfit for running errands, or an eye-catching ensemble for date night, at Lisa’s Classic Rose, we have just what you are looking for! 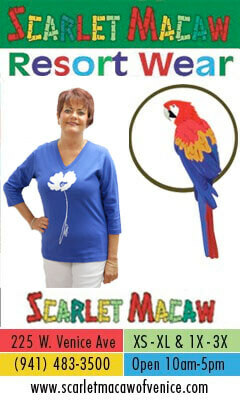 We offer resort wear and casual, everyday wear, perfect for any Florida woman. Our clothing is colorful, fun, comfortable, and stylish. Brands we carry include Simply Noelle, Jams World, and LuluB – UPF 50 clothing, and we carry sizes from 0 to 16, and from extra small to extra large. Our team offers exceptional personalized customer service and will help you find pieces that look great on you and match your style! Located on "the island" in Venice, we're your home for specialty glassware, fine china and elegant stainless steel. Previously traded as The Tabletop. Mothers Cupboard is a cozy pantry style store offering spices, specialty teas, and our own kitchen tested blends of spice mixes. Need a new idea? Register for one of our many cooking classes. Special occasion cake pan rentals make it easy for you to entertain with style. Want to try a new recipe? Bring it in and build a fresh spice pack for the ohhhs and ahhs you deserve for the extra care you have taken to create a feast fit for royalty. Stop by. Lets talk about what savory delights can be featured on your table tonight!